International and Gucci Cosmetics make-up artist Aaron Smith Henrikson is an integral part of the fashion and entertainment world. 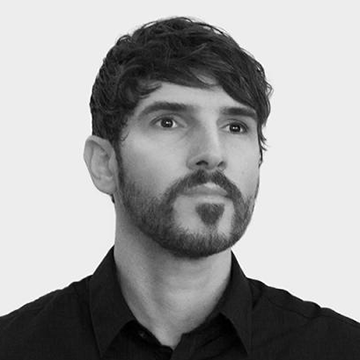 Aaron grew up in experimentally artistic Venice Beach, California and he shaped his talent with discipline gaining a degree in Linguistics from Yale University where he also studied Art and Photography with world-class Professors. Italy is Aaron’s home now but he continues finding inspiration around the globe expanding his hyper polyglot skills and cultural understanding that he built with his early studies in Switzerland, Italy, Japan, and China.Aaron has worked with Pat McGrath for the most respected runway shows in New York, London, Milan, and Paris for over a decade. Since then his career evolved allowing him to work today with some of the most prestigious photographers such as Steven Klein and Tom Munro and magazines such as Elle, and Vogue. Aaron has also been working with the world’s leading fashion brands including Prada, Versace, Dolce&Gabbana, and Gucci.Aaron equally enjoys working with fashion’s most prestigious top models like Karlie Kloss, Joan Smalls, and Cara Delevigne as well as timeless and iconic celebrities such as Madonna with whom he is traveling the world as her personal Make-Up Artist for the Rebel Heart Tour. © 2016 Aaron Smith Henrikson All Rights Reserved.